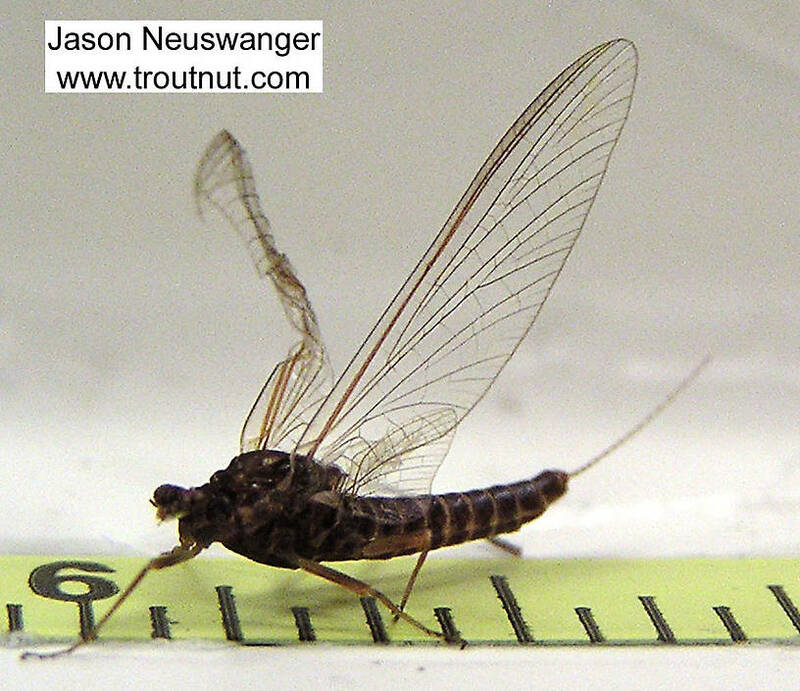 This one's a bit bedraggled because it was rainy and I had a hard time keeping anything dry, including the container I was putting mayflies in. I was practically juggling up there balanced on a rock trying to catch mayflies and trout at the same time. 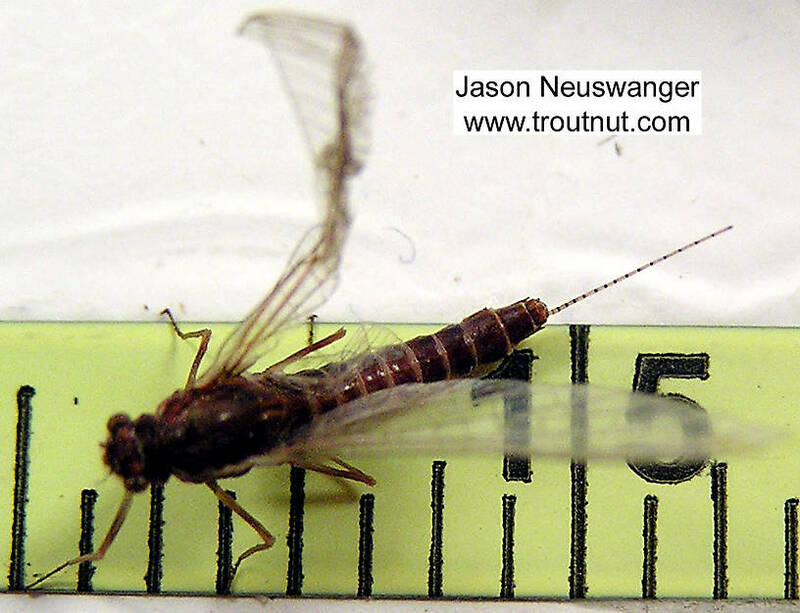 This mayfly was collected from the Bois Brule River on May 19th, 2004 and added to Troutnut.com on January 25th, 2006.